HAGAN CLICK ARRIBA A LA DERECHA EN NUESTRA TIENDA DE POSTERS “ONLINE”!! Sabían que la belleza de Marylin Monroe en el arte es la más popular en los hogares? Ella trae mucha elegancia en una sala y en cualquier parte de un hogar. Ella es un ícono y usted puede comprar un poster en copia fotostática por solamente $10.00. También tenemos una oferta especial. Si compra más de uno, se le garantiza uno extra gratis. Por ejemplo : Si usted compra uno de Marylin y uno de Adele por $20.00 se le garantizará uno extra gratis. Hay mucha variedad en la tienda para escoger. Compre dos hoy!! Se lo garantizamos que estará satisfecho. Opriman el botón de Add y eligan cual poster extra desean gratis. RECUERDEN!! SOLAMENTE CON LA VENTA DE MAS DE UNO SE LE GARANTIZA UNO GRATIS!! CLICK ON THE TOP RIGHT FOR OUR ONLINE STORE!! Did you know that Marilyn Monroe’s beauty in art is the most popular in people’s homes? She brings a lot of elegance in your living room or any special part of your house. She is definitely an icon and you may own a nice glossy photographic card stock print for only $10.00. There is also an additional deal. If you buy more than one; you get an extra one for free. For example if you buy a Marilyn Monroe print and an Adele print for $20.00 you get a third one for free. Check out all the prints available as there’s quite a variety to choose from. Buy two today!! You won’t be disappointed. HAGAN CLICK ARRIBA A LA DERECHA EN NUESTRA TIENDA DE POSTERS “ONLINE”!! Sabían que la belleza de Marylin Monroe en el arte es la más popular en los hogares? Ella trae mucha elegancia en una sala y en cualquier parte de un hogar. Ella es un ícono y usted puede comprar un poster en copia fotostática por solamente $10.00. También tenemos una oferta especial. Si compra más de uno, se le garantiza uno extra gratis. 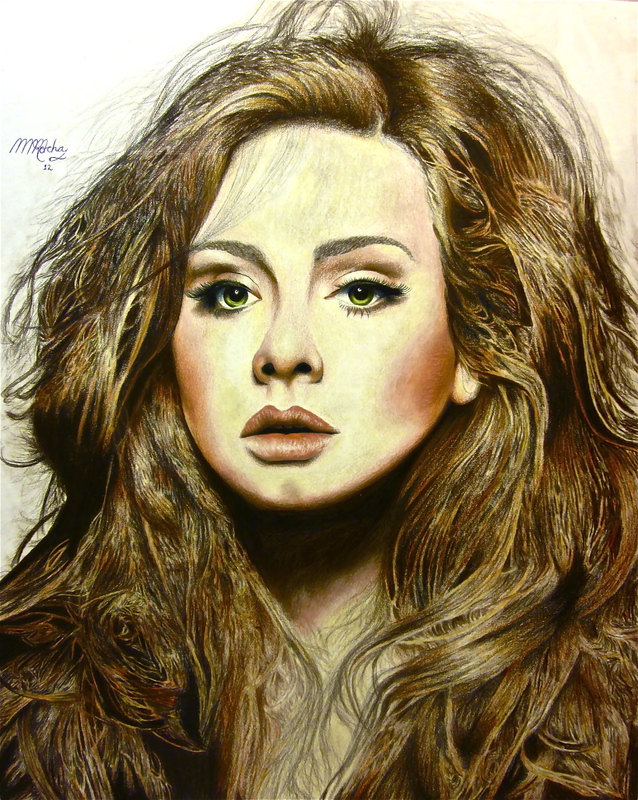 Por ejemplo : Si usted compra uno de Marylin y uno de Adele por $20.00 se le garantizará uno extra gratis. Hay mucha variedad en la tienda para escoger. Compre dos hoy!! Se lo garantizamos que estará satisfecho!! Just make sure you go to Add when you are making your purchase where it reads “Add special instructions to the seller” as it is shown below. REMEMBER; YOU GET A FREE ONE WITH THE PURCHASE OF TWO OR MORE!! Watching someone in the process of making a great piece of art work is enjoyable; specially when listening to some amazing music! 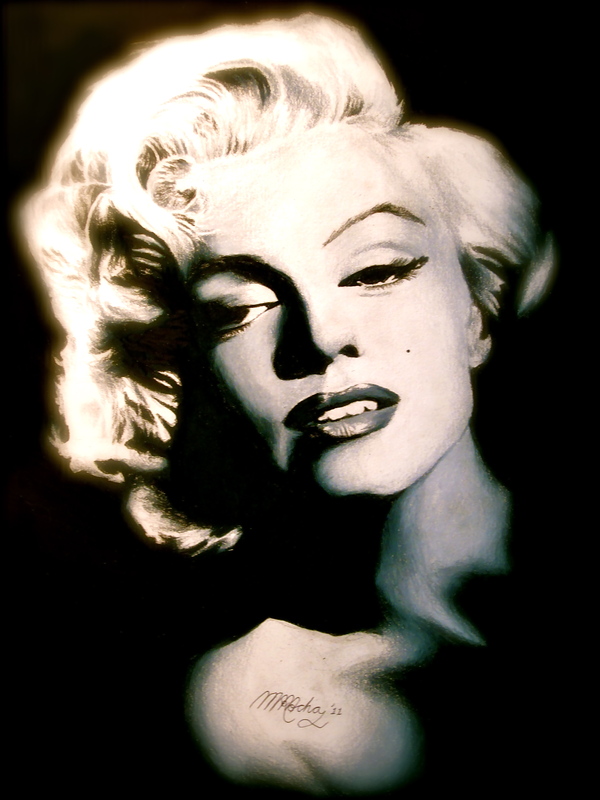 This is a video of Martin M. Rocha drawing the final process to Marilyn Monroe. Always a great relaxing time to draw and enjoying the genius of Elton John. What do you think art fans? The motivation, the visual, the energy, the beat; and the merging of two outstanding forms of expression : Art and Music! !